In 1960, she was a seventeen-year-old Brooklyn kid with plenty of talent but no connections and certainly no money. Just four years later, Barbra Streisand was the top-selling female recording artist in America and the star of one of Broadway’s biggest hits. 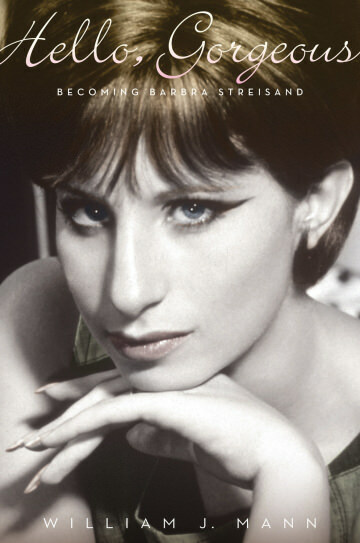 Now acclaimed Hollywood biographer William J. Mann reveals the riveting, never-before-told account of that dizzying ascent, chronicling the behind-the-scenes story of how Streisand and her team transformed her from an unknown dreamer into a worldwide superstar. Drawing on the private papers of Jerome Robbins and Bob Fosse and interviewing scores of the friends and lovers who knew Barbara before she became Barbra, Mann recreates the vanished world of 1960s New York City and uncovers the truth behind the myths of her formative years. He shows us howFunny Girl was slowly transformed, by Fosse and Robbins among others, from a Fanny Brice bio into a star-making vehicle for Streisand; takes us into the clubs and onto the set for her early nightclub and television appearances, including her torch-handing turn with Judy Garland; introduces the canny marketing team whose strategies made Streisand’s stardom seem inevitable; and tells the heartbreak of a young woman who, for all her tough-skinned ambition, was surprisingly vulnerable in love. Everyone who has felt outside the gate, as she did, remembers a time when the newness and difference of Barbra Streisand changed everything and rewrote all the rules. In Hello, Gorgeous, Mann incisively illuminates the woman before she became the icon and pays tribute to one of the world’s most beloved performers.